Now, an Essential branded smartphone carrying the model number A11 has received the Wi-Fi certification (via GizmoChina). However, the smartphone that has surfaced on the website of Wi-Fi Alliance appears to be the same as the already launched Essential PH-1 smartphone. The certification website reveals that the latest one to hit the headlines will be launched with the Android 7.1.1 Nougat OS out of the box. From the Wi-Fi certification database, it is clear that the Essential PH-1 will arrive with the model number A11 and support 2.4GHz and 5GHz dual-band Wi-Fi. The same smartphone received the FCC approval in the U.S., which is necessary for its release. Launched on May 30 this year, the Essential smartphone was expected to debut shipping from June 30 but the same is yet to start. Given that the Essential PH-1 has received both the Wi-Fi and FCC certifications those are important for its release, it can be said that the shipping of the device might debut soon. 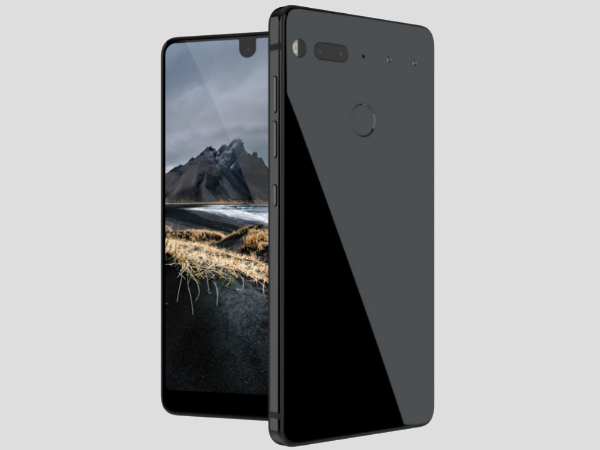 As per the COO of the brand, Niccolo de Masi, the Essential Phone’s release is imminent in the U.S. market. However, there has been no mention about when exactly the device will be released for the buyers. Also, the company has not provided any reason for the delay in the shipping of the Essential Phone to the pre-ordered consumers. Maybe, it could be related to the exit of the company’s Vice President of Marketing, Brian Wallace and the Head of Communications Andy Fouché.